Since 1837, Buckingham Palace in London, England has served as the the official residence of Britain’s sovereigns. 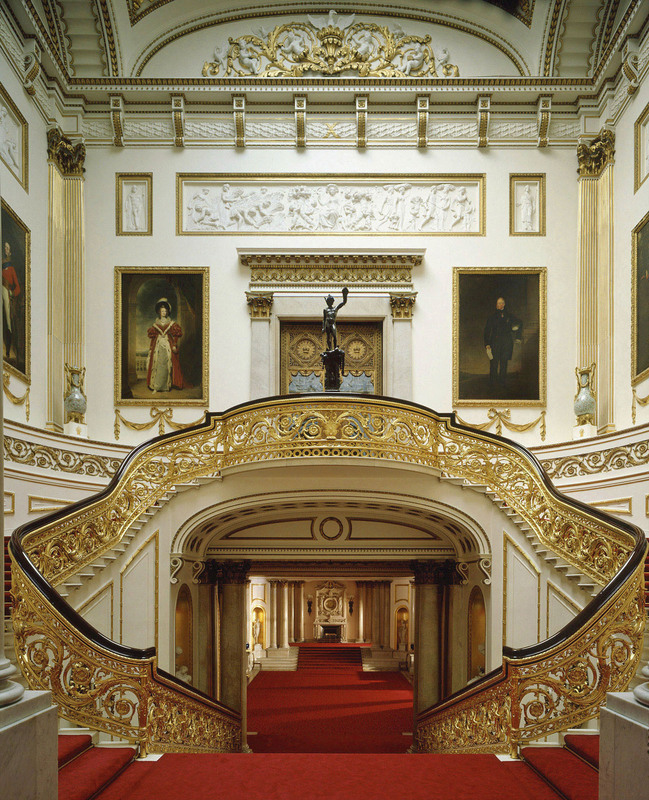 For those who receive an invitation to Buckingham Palace, they first enter into the Grand Hall and up the stunning marble stairs of the Grand Staircase. The Throne Room today is used for special occasions such as for Royal Wedding photographs. The grandest of all the state rooms is the White Drawing Room which serves as a Royal reception room for The Queen and members of the Royal Family before State occasions.